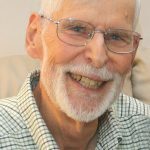 David Kay, 79, passed away on September 2, 2018, in Urbana, IL. He grew up in Philadelphia, the son of Warren and Josephine Kay. He was preceded in death by his parents and his sister, Carolyn Michael. He is survived by his wife, Marilyn Frey Kay, his sons, Brian and Gordon, and his grandsons, Austin, Lucas and Conrad. David received his early education in the Philadelphia public schools. He earned a B.A. at the University of Pennsylvania and a Ph.D. in English at Princeton University. In 1966 he joined the Department of English at the University of Illinois at Urbana-Champaign. He was a dedicated and inspiring teacher of Shakespeare and other early modern English writers, with particular skill in illuminating their moral concerns and literary artistry. He was internationally recognized as an expert on the plays and poems of Ben Jonson. He wrote an influential series of articles on Jonson’s self-presentation in his early plays and a biography entitled Ben Jonson: A Literary Life. He was also the editor of The Malcontent by John Marston and the co-editor of Eastward Ho! by Marston, Jonson, and George Chapman. He was actively involved in the English department, serving as Associate Head, and in other administrative roles. David and his family began attending the First Presbyterian Church of Urbana in the late 1960’s. He was involved in many roles throughout the years, including serving on the Session and as a Deacon. He was part of the Earth Care Team, promoting good stewardship of the earth by the church and the broader community. Most recently, he enjoyed working at the church Thrift Shop, often quietly behind the scenes. He was dedicated the mission of the shop and the church, providing resources, both financial and physical, to local missions. David most treasured being a father and husband. His sons both appreciate all the ways their father taught and inspired them. The funeral service will be on Saturday, September 15, 2018 at 11:00 a.m. at the First Presbyterian Church in Urbana. A celebration of life will follow at 1:00 p.m. at Clark-Lindsey Village in Urbana. In lieu of flowers, memorials in David’s honor may be sent to the First Presbyterian Church of Urbana or to the Reading Group, located at 3011-A Village Office Place in Champaign, 61822, for their scholarship fund to help children with dyslexia. Morgan Memorial Home assisted with arrangements.